Following his huge success of Divorce Papers & Dolly House. Jamaica's King of Comedy Oliver Samuels is back with another blockbuster. 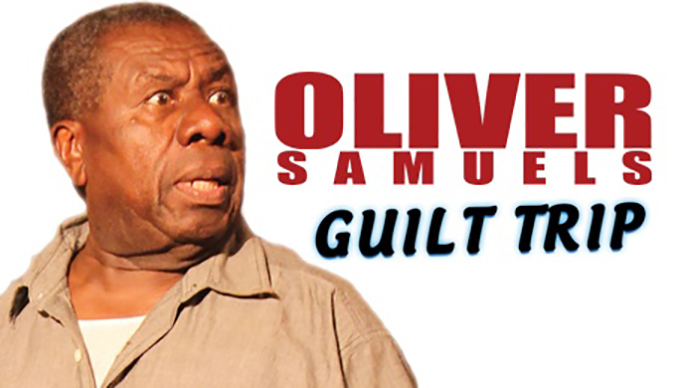 The legendary actor and renowned comedian, once again gives us an evening of sheer laughter in the hilarious Guilt Trip. With Co stars Dennis Titus and Ruth Hoshing This exciting new comedy-drama is written by Basil Dawkins and directed by Douglas Prout and Toni-Kay Dawkins.